Coppicing Mallee trees and Spinifex grass in Mungo National Park. 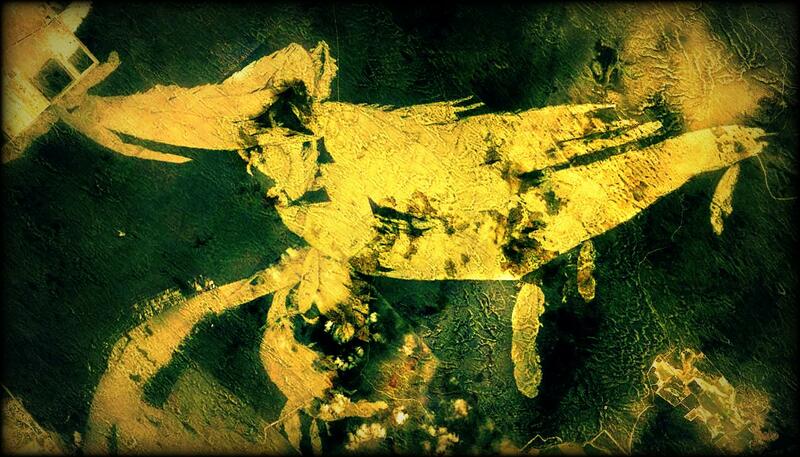 Original photo: Visit Mungo. Trees grow short in the mallee. Little rain and poor soils stunt their growth. Over thousands of square kilometers, in semi-arid Victoria, South Australia and New South Wales, many mallee eucalypts reach just 6 to 7 meters high. The short trees burn well, especially when growing above Spinifex and, after wet years, above flammable Spear-grasses. In 1974, fires burnt over 650,000 ha of mallee in south-west NSW. Large fires kill most of the mallee tree trunks. The trees survive by resprouting from the lignotuber (or ‘mallee stump’), and the new coppice stems grow up to form the iconic, many-trunked trees. Like an axe with new handles, each tree (or more precisely, each lignotuber) is old, but the trunks and branches are younger, and date from the most recent fire. About ten years ago, a team led by Mike Clarke and Andrew Bennett (from La Trobe and Deakin University) turned the coppicing habit of mallee trees to their advantage. They wanted to work out the fire history of the mallee, to discover how often different areas burnt, and to find out the age of every stand of trees. The boundaries of older fires are poorly known, so they headed to the field to gather new evidence. The team measured over 40,000 stems of mallee trees. Photo courtesy of the Mallee Fire Team. First the team first visited lots of sites where they knew the date of the most recent fire. There they measured the diameter of thousands of post-fire coppice trunks. Because they knew when each area burnt, they knew how old the trunks were. As you’d imagine, trunks in older patches were bigger than those in recently burnt areas. Back in the lab they ran the numbers. They developed a formula that predicted trunk ages and fire dates based on the diameter measurements. ‘Awesome’ they cried. Armed with their nifty formula, they visited areas where fire dates were unknown, and measured thousands more coppicing trunks. Back to the lab for more number crunching. They typed in the new measurements, sipped their chai lattes, and gazed at the stats package as it spat out the estimated stand ages and fire dates for all of the unknown areas. Bingo. Their method isn’t perfect; the formula under-estimates the real age of old fires and old trees to some extent. 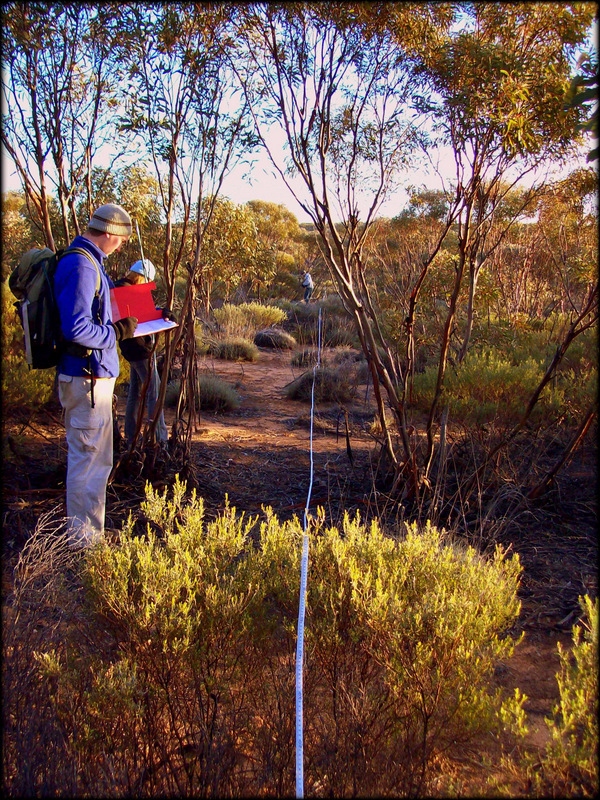 Nevertheless, the team created a practical way to work out when every patch of tree mallee last burnt and the approximate age of every stand of mallee eucalypts – across thousands of square kilometers. Their simple technique helped re-write the fire history of the mallee. Before their field study, the team mapped recent fires from the fire scars seen on satellite images. Satellite mapping gives accurate information on all fires after 1972 – the year of the first Landsat image – but nothing before then. Many older fires are known, but their boundaries are uncertain or imprecise. Recent fire scars in Wyperfeld National Park, Victoria. Source: Google Earth. the managers of one reserve in New South Wales were really keen to carry out a landscape mosaic burn to reduce what they perceived as an over-supply of old-growth Mallee … that is [mallee] greater than 35 years of age. How old is this pre-Landsat mallee? Were the ‘old’ stands last burnt 40, 80 or over 100 years ago? To answer this question, the team divided the big chunk of old mallee into age classes using the fire dates they calculated from their tree measurements. They found that the pre-Landsat mallee contained a huge diversity of age classes, ranging from 35 to over 160 years old. Remember that their formula under-estimated the real age of old stands. This means that the 160 year old stands could be 200 years old or more. Importantly, they discovered that really old stands of mallee, over 100 years old, are really rare. Most pre-Landsat mallee is Gen-X and Baby Boomer mallee, 35 to 70 years old. Only 5% of mallee sites were over a hundred years old. There is no surplus of ancient mallee. But wait. There’s more. Burnt mallee trees have live and dead trunks. The live trunks came up after the most recent fire. The dead trunks came up after an earlier fire and were killed by the most recent fire. By measuring the live trunks, the team worked out when each stand was last burnt, as described above. The size of dead stems indicates the length of the period between recent fires. Original photo: Plants in Action. Dead stems tell the stories of earlier fires. By measuring lots of dead trunks, the team could estimate the date of the second last fire. The dead stems disclosed the time between the two most recent fires (the ‘inter-fire interval’) and gave a glimpse into the ‘invisible mosaic’, the hidden pattern of past fire regimes. If we don’t know the age of a stand of trees, a patch of bush, we don’t know much at all. We can’t predict how quickly (or slowly) habitats will change, hollows will form, litter and fuel will accumulate. We can’t say how or when the fires we light will alter ecosystems in the future. Accurate fire histories underpin future ecologies. Mike Clarke and Andrew Bennett’s enthusiastic team unlocked the mysteries of ageing in the mallee. In future blogs I’ll describe more of their results. Their many papers have been published in the best ecological journals. But they all stem from one simple field technique. Everything sprouts from a burnt mallee stem. From little things, big things indeed do grow. Thanks to Dr Angie Haslem and Dr Simon Watson from the La Trobe and Deakin University Mallee Fire and Biodiversity Team for fact-checking this week’s post. Avitabile SC, Callister KE, Kelly LT, Haslem A, Fraser L, Nimmo DG, Watson SJ, Kenny SA, Taylor RS, Spence-Bailey LM, Bennett AF & Clarke MF (2013) Systematic fire mapping is critical for fire ecology, planning and management: A case study in the semi-arid Murray Mallee, south-eastern Australia. Landscape and Urban Planning 117, 81-91. 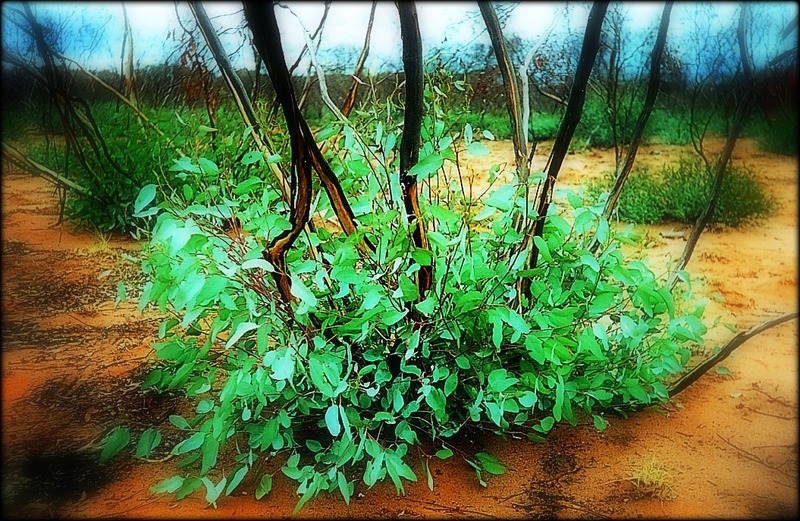 Clarke MF, Avitabile SC, Brown L, Callister KE, Haslem A, Holland GJ, Kelly LT, Kenny SA, Nimmo DG, Spence-Bailey LM, Taylor RS, Watson SJ & Bennett AF (2010) Ageing mallee eucalypt vegetation after fire: insights for successional trajectories in semi-arid mallee ecosystems. Australian Journal of Botany 58, 363-372. Great stuff as usual Ian! I still have vivid memories of your stories of fire scars and age classes of Callitris and Eucalypts at Mt Pilot during my studies. I was looking at some local fire scars yesterday (on large Turpentine and Stringybarks) and I remember you discussing that the scar would be on the opposite side of the tree to the fire direction – am I correct? I am fascinated still by fire ecology and this method of discovering fire history in Mallee Eucs provides even more detail to our understanding of ecosystem function. Cheers, Steve. Thanks for sharing Ian. This is very important research. I find it interesting that mallees are among the oldest trees on the planet, suggesting great ecological stability, yet the ecosystems associated with the mallee fire ecology are very dynamic. I just love Eucalypts! Before Landsat there are many series of aerial photos – I recall finding them very useful in doing field work in the Victorian Mallee in the seventies – why not use them to help refine the age/size model? Ian, great blog, and some very important research. I would imagine some implications, particularly in Victoria, of the over burning of these Mallee areas to reach fuel reduction burning targets. Obviously fire is integral to mallee community but do we know if this over-burning, and therefore shortening of the inter-fire interval, going to forever alter these mallee communities by changing their composition and structure? Ian, a comment on Mark’s comment: from my observations walking in parks and reserves in NE NSW and SE Queensland, there is far more vegetation change occurring as the result of no burning than as the result of frequent burning. In coastal vegetation, heaths are now woodlands and woodlands are now shrublands as fire dependent species die don’t regenerate and then die. Rainforests are marching into sclerophyll forests, again die to lack of fire. This is not to say that there is a “correct” vegetation for each site. But the rate of change on many sites due to lack of fire is an issue for conservation managers concerned about biodiversity. Probably a bigger issue than too frequent burning. See also “Fire exclusion and the changing landscape of Queensland’s Wet Tropics bioregion” in Aust Forestry vol 77 no1 (2014). As a non-scientist who grew up in the SA Mallee, very interesting post. You have a new reader!